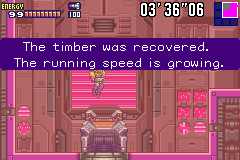 This is a text hack of Metroid Fusion which provides amusing Google Translated versions of the game's text. 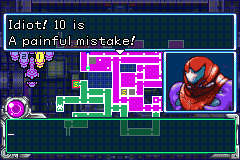 Didn't like Samus' lines? This should help fix that! Yes, I 0%'d this. It's as good as you'd expect. No level design or aesthetic changes, just text alterations. Some are pretty darn amusing. Good for a one time playthough, has little replay value though.